Seton's Identification Tags are backed by our 100% Satisfaction Guarantee! Select from a wide variety of Identification Tags at competitive prices. 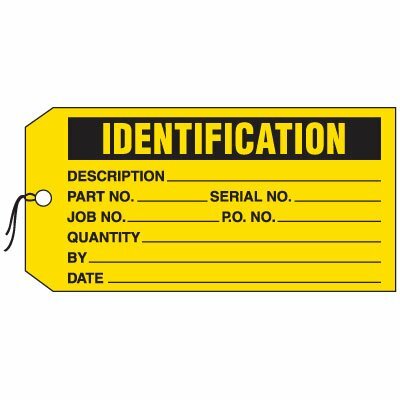 Plus most of our top-quality Identification Tags are in stock and ready to ship today. These Valve Tags help to quickly identify different sprinkler lines in a fire sprinkler system. Seton’s Custom Laser Engraved Brass Valve Tags allow you to choose your valve identification wording and numbering--choose from a wide array of shapes and sizes. Let us do it for you.